Will the update for android 2.1 be free?? can the donut be upgraded to eclair or froyo...? anybody knows? I think this will be an important plus point to consider before purchasing one. I planning to buy this phone but I'm also thinking the LG GT540 Optimus. According to reviews, optimus is very good. Please help on choosing, which is great for this two. 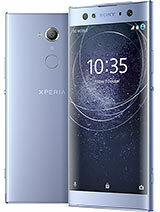 this phone price is only 170 euro? Talked to support and provider without success. Anonymous, 04 Nov 2010What on earth do you need a digital zoom for?? Digital zoom just distorts photos you need an o... moreSound likes, u never using zoom in while u shot photo by phone ? Anyone can tell me, this mobile-X8- have no zoom in and out function when we do shooting photo/video !? Or I dont kno how to zoom in !??? If you don't like qwerty like me, install TouchPal, great num keypad! how much memory is available for apps & games?? ?